Welcome to part two of “The Top Five Rappers by NYC Borough”, my five-part article that will touch the top five rappers in each of the five boroughs of Hip Hop’s birthplace. Next up is Manhattan. Yes, Manhattan, one of the world’s largest, most affluent, most expensive and bustling business districts has a reputation of being the expensive and “privileged” part of New York City. It is also the most iconic part of the city, and the only borough that most tourists will spend time in. It doesn’t have the greatest reputation in the Hip Hop community as, per capita, there are way less rappers coming out of Manhattan than places like Brooklyn, the Bronx and Queens. However, Manhattan is still the home of a few very influential and heralded MC’s who have left a lasting impression on Hip Hop. Most, if not all Manhattan rappers, are from “uptown”, or the northern part of the island. “Uptown” can refer to the Bronx, but anyone who visits New York and rides the subway knows that trains heading “uptown” are heading north in Manhattan. And it’s in that “uptown” part of the borough, above 100th Street, where all of the rappers on this list are from. 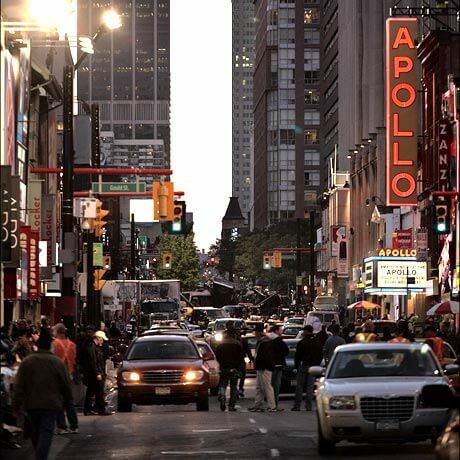 Harlem is one of the cultural centers of the world for Hip Hop, and is represented by every one of my list of the top 5 Manhattan MC’s. In 1979, when Hip Hop was just making its way onto wax for the first time, a teenager from Harlem dropped one of the first notable singles. Spoonie Gee’s “Spoonin’ Rap” features an infectious bassline and some of the earliest rhymes in existence. Produced by Peter Brown, known for his production in the very early days of Hip Hop, “Spoonin’ Rap” touches on a few topics in its seven minute run time, including love and relationships, street life and doing jail time. “Spoonin’ Rap” put Spoonie Gee on the map and cemented his status as one of the early “godfathers” of the genre. He would go on to put out a litany of singles in the early 1980’s, including “Monster Jam”, “The New Rap Language”, and “Love Rap”, the latter of which is probably his most well-known contribution. “The New Rap Language” and “Love Rap” were in fact performed with The Treacherous Three – they were known at the time as Spoonie Gee and The Treacherous Three. Gee split from the group in 1980, and went on to release a number of songs by himself over the next several years. In fact, his career would continue strong until the end of the 1980’s, and Gee would release his only full-length album, 1987’s The Godfather of Rap. He bounced from label to label during the 1980’s and released roughly 15 singles throughout the decade. Spoonie Gee trailed off in the 1990’s, and had several run-ins with the law and served jail time, which effectively put a halt to his career. However, his early contributions to Hip Hop are priceless, and he truly was one of the pioneers of ’79. His presence in the early 1980’s, both by himself and with The Treacherous Three, made him one of the earliest, successful Hip Hop acts out of Harlem. In the early 2000’s, a Peruvian expatriate representing Harlem quickly became one of the most respected and feared MC’s on the underground circuit. Immortal Technique stormed onto the scene with an unforgiving, politically charged message and ferocious lyrical delivery. Technique had a tumultuous background, including getting kicked out of college and thrown into jail for assault. While spending a year in jail, he decided to hone his rapping skills, and came out of his sentence as a hungry battle rapper. 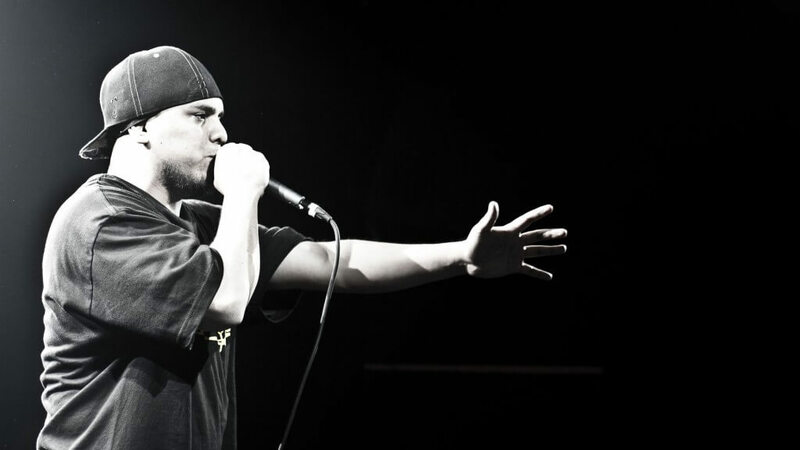 While enrolling back in college in Manhattan, Technique began to establish himself on the underground scene as a battle rapper. He made an appearance in 2001 on the famous Hip Hop cypher TV show 106th & Park, and while he lost his battle on the show, he gained enough respect and confidence to independently release an album the same year. Revolutionary Vol. 1 stormed the underground circuit, but did not see commercial success at first. However, the album was driven by what would, in retrospect, became one of Technique’s most well-known and controversial singles, the nearly seven-minute opus “Dance With the Devil”. The song illustrated a violent and graphic gang initiation scene where the person described in the scene ends up committing heinous acts and committing suicide. The song raised plenty of eyebrows and built hype around Immortal Technique. 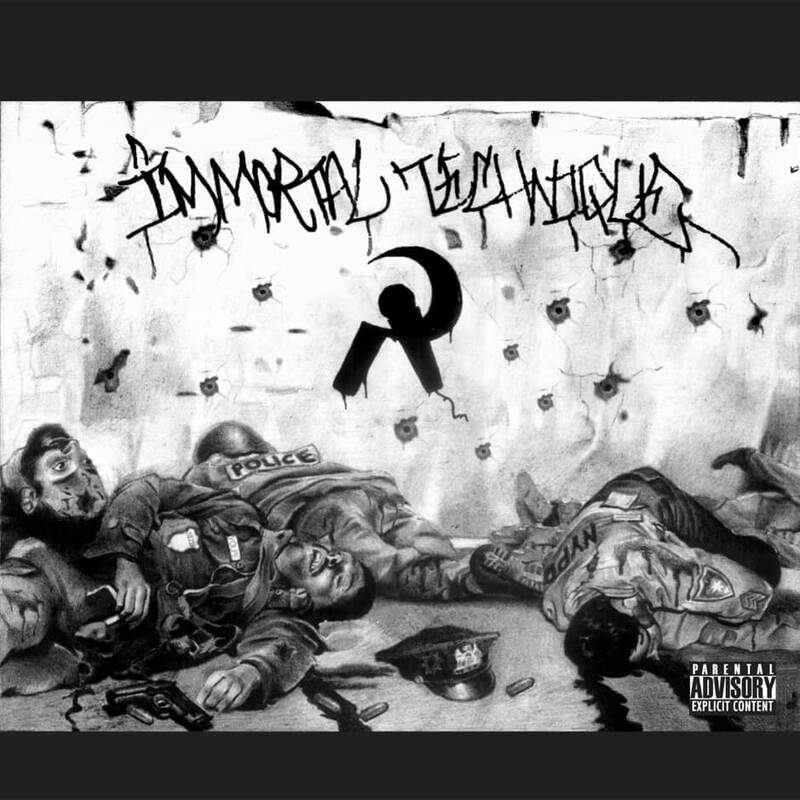 Two years later, in 2003, Immortal Technique dropped Revolutionary Vol. 2, which gained massive attention upon its release. The album expanded on the political and social issues outlined in his first album, touching on everything from Mumia Abu-Jamal’s incarceration to the September 11th attacks on New York. The album was more skillfully produced than his first release, and the album achieved a large amount of success for being released on an independent label. Driven by the songs “Industrial Revolution” and “Peruvian Cocaine” and featuring other classics such as “Harlem Streets” and “The 4th Branch”, the album is heralded as one of the best underground/indie Hip Hop releases of all-time. Technique would go on to make a number of guest appearances on certain underground and political Hip Hop albums through the rest of the decade, before following up with the release of his third album, The Martyr, in 2011. The album did not do as well as its predecessor, perhaps due to the eight-year break between albums. Technique has made a few more guest appearances since the album’s release, but has otherwise remained quiet. Immortal Technique is unique for his voice, multi-syllabic delivery and most notably his strong, unforgivable political and social message. He is perhaps the most socially conscious and revolutionary MC since Chuck D came onto the scene with Public Enemy in the late 1980’s, and he is celebrated for his sometimes brash political messages in his music. He finds a very straightforward and convincing way to deliver his lyrics, and he is truly one of the more angry voices in Hip Hop. The passion and skill Immortal Technique emits makes him absolutely impossible to look past as one of Manhattan’s top MC’s. There is some debate as to which borough Kurtis Blow represents. 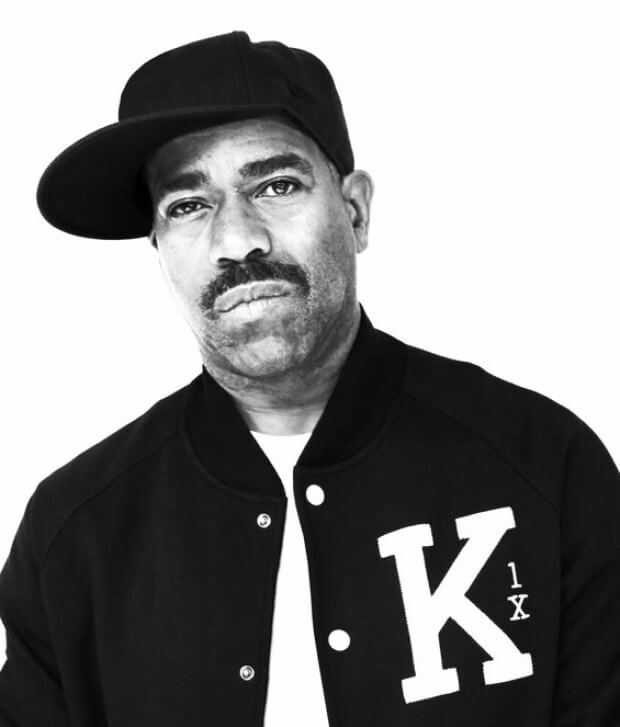 He is originally from Harlem, but has pledged allegiance to being a “Bronx boy” on the track “The Bronx” from his 1986 release Kingdom Blow. However, after further review, we’ve determined that Kurtis Blow’s career took hold when he was still representing Harlem, and therefore he will be included on the Manhattan list. Kurtis Blow holds the distinction as the very first rapper to ever be signed to a major label. In 1979, he inked a deal with Mercury Records, and quickly released his single “Christmas Rappin’” at the end of that year. One of the most well-known singles of Hip Hop’s breakout year of 1979, “Christmas Rappin’” sold half a million copies – an incredible feat for a single, let alone for a Hip Hop single released in the 1970s. Blow quickly capitalized on his success and put out his debut album, Kurtis Blow, in 1980. The album, and Kurtis Blow as a rapper, is best known for the seminal track “The Breaks”, a nearly eight minute track that showcased one of Hip Hop’s earliest fine lyrical performances. The song makes subtle social references, but more than anything else, is more of a showcase for one of the Hip Hop game’s earliest influential figures. While “Christmas Rappin’” eventually sold half a million copies, “The Breaks” did it a bit quicker, and became the first certified gold Hip Hop song. Kurtis Blow was the second full album to be released in all of Hip Hop, and the first album to be released by a solo artist. 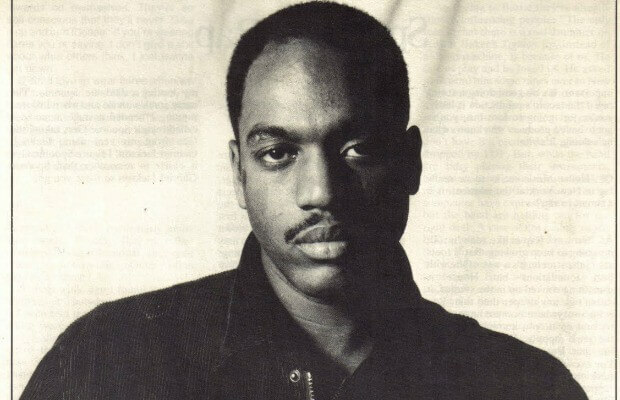 Blow laid an incredible framework for early 1980s rappers, and his delivery and originality would go on to influence many of the “new school” rappers who would come out towards the middle of the decade. Meanwhile, Kurtis would go on to release five more albums throughout the remainder of the 1980s. While none were as influential as his debut, albums like Deuce (1981) and Ego Trip (1984) were still widely celebrated in the Hip Hop community upon their release. Two split singles in 1984 – “8 Million Stories / AJ Scratch” and “Basketball / One-Two-Five” – would show that five years after his debut, Kurtis Blow still had staying power. 1985’s “If I Ruled the World” off of America would have a similar impact. In the second half of the 1980s, Kurtis Blow put out three more albums, though none of the three records received the same acclaim and commercial attention as his first three did. Nonetheless, Kurtis Blow truly was one of the first stars in Hip Hop, and he paved the way for many MC’s to come. He is one of the earliest artists to make an impact, and while he did not have another album as influential as his first, his early contributions to Hip Hop simply cannot go without being noticed. Harlem’s Kurtis Blow is a true pioneer to Hip Hop, and left a strong impact on the genre in some of its earliest, most uncertain days. Harlem’s Kool Moe Dee emerged onto the scene around the same time as Spoonie Gee, and along with Gee, was a member of The Treacherous Three. Kool Moe Dee and The Treacherous Three had a number of well-known singles in the first half of the 1980s, and this is where Kool Moe Dee really made his name as an MC. His performance with The Treacherous Three gained him a reputation in the fledgling Hip Hop community, and paved the way nicely for his career after the group split up in 1984. Dee started releasing singles in 1985, leading up to his self-titled debut in 1987. Later that year, he would release perhaps his most well-known album and single, both titled “How Ya Like Me Now”. The album went platinum, and cemented his status as one of the early widely popular Hip Hop artists, along with acts like Run-D.M.C. and LL Cool J. Speaking of LL Cool J, one can’t forget about the beef between Dee and LL in the mid-1980s as both artists were making a name for themselves. Dee felt that LL and others had stolen his rapping style and delivery, and that LL didn’t pay homage to those before him, deeming himself “rap’s new grandmaster”. The style of clothing, including the kangol hat that Dee rocked on the cover of How Ya Like Me Now was a not-so-subtle jab at LL. While the feud between Kool Moe Dee and LL Cool J was never really resolved, Dee kept plugging, releasing two more notable albums – 1989’s Knowledge is King and 1991’s Funke Funke Wisdom. Also, Dee made a notable appearance on Quincy Jones’ Back on the Block in 1989 alongside Big Daddy Kane, Melle Mel and Ice-T on the track “Back on the Block”. The record won Album of the Year, and Dee actually performed the song with Jones live on the Grammys. This makes Dee one of the first rappers to win a Grammy, and he was the first rapper to perform live on the Grammys. While Dee’s career would wind down as the 1990s wore on, his impact had already been felt across the Hip Hop community. With his solid, commanding delivery and impressive rhyming techniques, Kool Moe Dee was one of the first MC’s to gain solid, widespread success, and one was one of the first rappers to be involved in a highly-publicized beef. He sported an unmistakable delivery that made him one of the earliest acts with raw lyrical ability. Add his Grammy achievements to the mix, and it is easy to see why Kool Moe Dee belongs so high on this list. In my mind, there’s no question as to who the number one MC from Manhattan is. 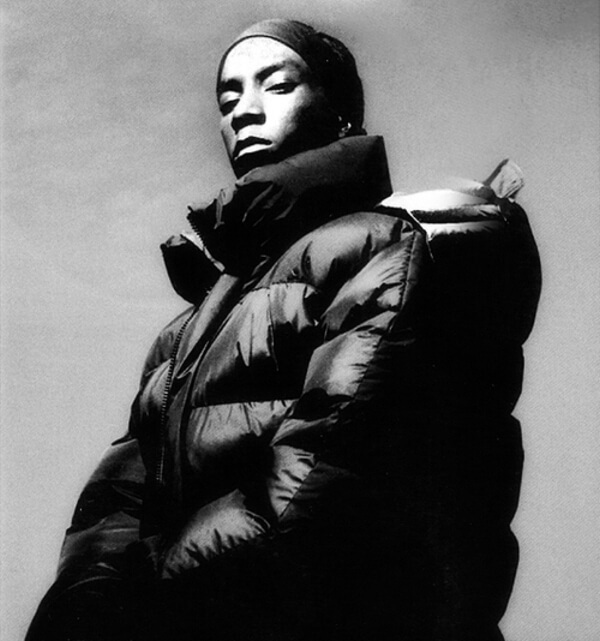 Despite only releasing one album in his lifetime, which was not immediately appreciated during and shortly after its release, Big L is one of Hip Hop’s most skilled lyricists of all-time, and should be ranked right up there with the greats from Brooklyn and the titans from Queens and The Bronx. Big L was killed in a drive-by shooting in his native Harlem in 1999 at the age of 24. Many artists that die in the prime of their career tend to become extremely celebrated after their deaths, and are sometimes overrated or called “the best of all-time” simply for emotional reasons. Big L received probably more of his acclaim after his death than before, but this is simply because his early work was not really publicized until after he passed away. So he would later be referred to as one of the “best of all time”, and perhaps he gained more attention because he was slaughtered in his prime, but in this case, the “one of the best of all time” labels comes with exactly zero exaggeration or hype. Simply put, Big L is one of the best to ever touch a mic. He is one of the most intricate and clever wordsmiths ever, and is absolutely intriguing to listen to. His rapping career began in the early 1990s, when he teamed up with fellow Harlem residents and future superstars Cam’ron and Mase, as well as McGruff and Bloodshed, to form Children of the Corn, a group that only released a few tracks. Big L made his first solo appearance on the Showbiz & A.G. track “Represent” off of their 1992 debut album Runaway Slave. Big L quickly became associated with the D.I.T.C. (Diggin’ In The Crates) crew, a mostly Bronx-based collective including Diamond D, Lord Finesse, Fat Joe, O.C. and others. After a few singles in the early to mid-1990s, Big L would drop the only album released during his lifetime, 1995’s Lifestylez ov da Poor & Dangerous. The album did not receive attention or widespread acclaim at first, but has retrospectively gone on to be one of the most celebrated east coast Hip Hop albums from the subgenre’s mid-1990s renaissance. On the album, Big L puts on an absolute lyrical clinic over equally impressive D.I.T.C.-produced beats. Big L’s tongue-twisting, rapid-fire flow was first demonstrated to the world on Lifestylez, which featured L’s jaw-dropping rhymes most notably on the singles “Put It On” and “Street Struck”. The album includes guest appearances from two future multi-platinum MCs: Cam’ron (then known as Killa Cam) and Jay-Z, both which appear on separate tracks. Big L entered the studio again in 1998 and started work on his second album. The single “Ebonics” was released at the end of 1998 and began drawing a massive amount of hype. Big L would go on to record a multitude of verses and songs by early 1999 before his life was tragically cut short. On February 15, 1999, close to his home on 139th Street in Harlem, Big L was shot nine times and killed in a drive-by shooting. His death sent shockwaves through Harlem and New York City, though his death did not receive the type of publicity that surrounded 2Pac and Notorious B.I.G. some two years earlier. The D.I.T.C. crew, aided by DJ Premier, who had recently started working with Big L, made a point to make sure Big L’s second album was released. The Big Picture dropped in the summer of 2000 and was well-received from critics and Hip Hop fans alike. The album featured many guests, who seemed to rally together to make sure an album with enough content was released in Big L’s honor. Kool G Rap, Big Daddy Kane, Sadat X, Guru and Fat Joe, among others, were included on the album, which took just three months to go gold. 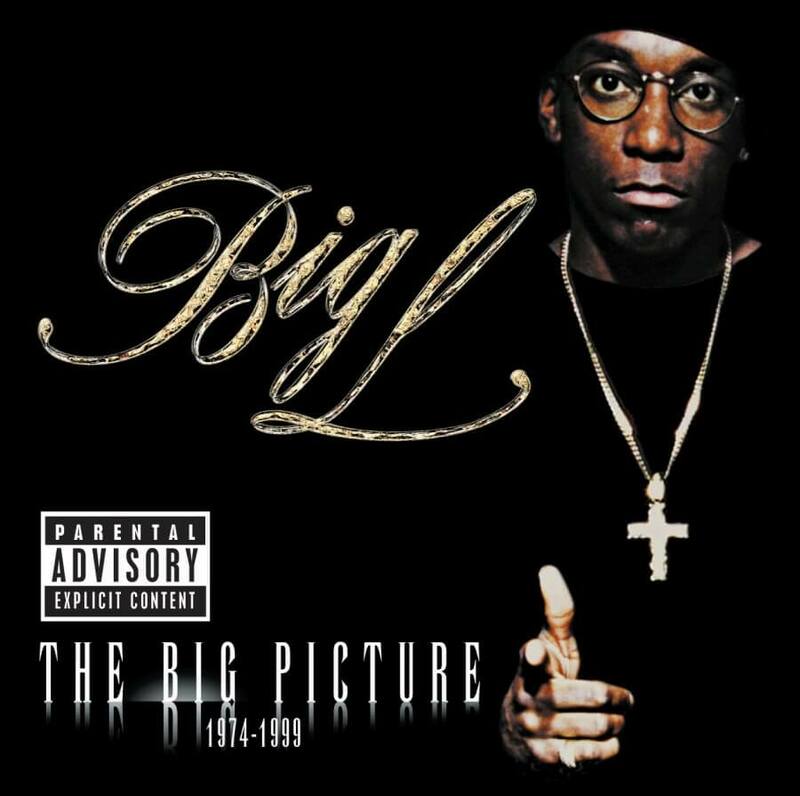 Big L’s intense lyrical delivery was showcased on The Big Picture just as on his first album, but this album received more attention. It was also criticized by some purists for having more of a mainstream sound, but still remains a celebrated east coast release that happened to drop during a time where most Hip Hop not classified as “underground” was rather low in quality. Listen to any Big L track off of his first two albums and it will be quite obvious why he received so much acclaim after his death. The hype was really building around him prior to his death, but he was truly celebrated after many people heard The Big Picture. 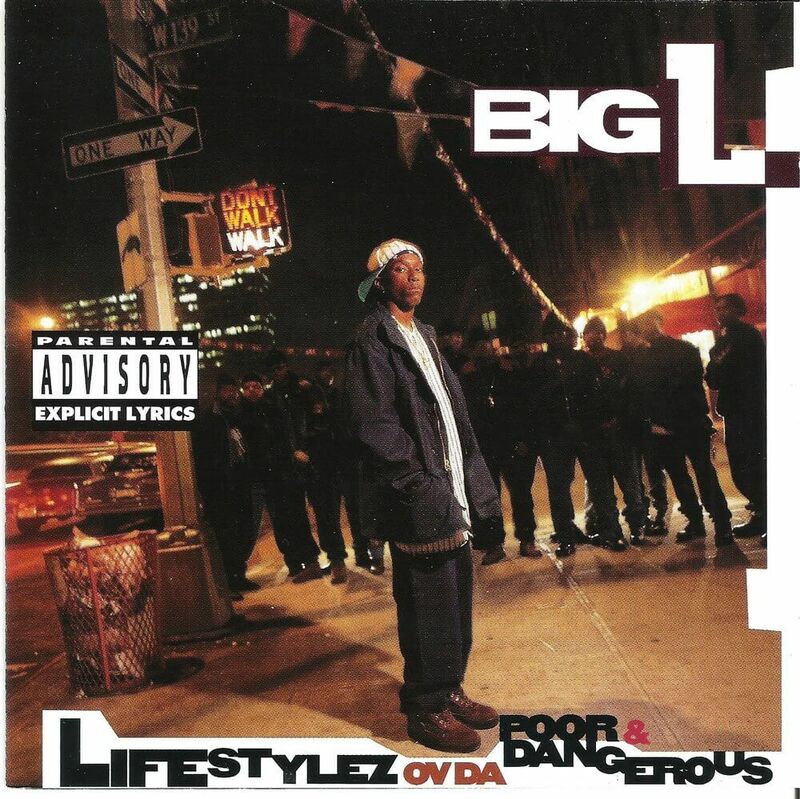 The appreciation for a bona fide classic like Lifestylez increased greatly after Big L’s death, and today, the album remains as one of the best ever to come out of New York City. Big L is still missed and celebrated by the Hip Hop community to this day, but his posthumous influence unfortunately remains a bit obscured to the world outside of Hip Hop, a community that will hastily celebrate Biggie and 2Pac. Big L was on the same – if not higher – level as those guys, and truly pushed the lyrical boundaries to the limit. Big L wasn’t a conscious rapper on the level of Chuck D or Mos Def, but the complexity of his rhyme schemes, his stunning delivery and his biting wit rivals that of anyone to ever hold a microphone. Big L’s career was way too short, but his influence, skill and near perfection of the art form of rapping leave him as not only the best MC to come from Manhattan, but as one of the top MC’s of all-time.